Located on 6.7 acres in Oakland’s Montclair neighborhood, Estates Reservoir is an open-cut reservoir constructed in 1903. 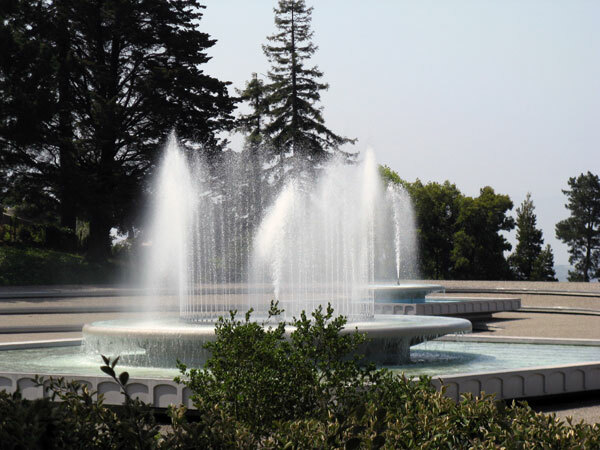 In the early 1960s regulations were put in place by the East Bay Municipal Utilities District requiring coverings on all open water storage reservoirs to prevent contamination. 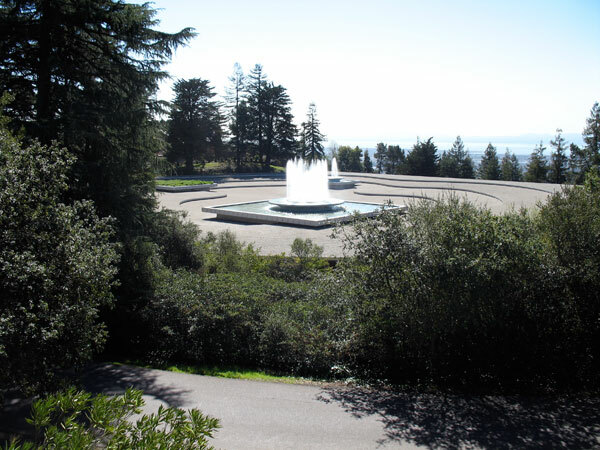 In 1962 the firm Royston Hanamoto Mayes and Beck was commissioned by EBMUD to design a cover for the reservoir which would both protect the area’s water supply and provide a park-like setting in keeping with the surrounding neighborhood. Robert Royston's Modernist design was approved in 1966 and installed in 1968. Atop the 2.5-acre tar and gravel reservoir cover sit two square fountains and a concrete planter. The cover itself, supported by reinforced concrete columns, is terraced into biomorphic contours which emulate lapping water. 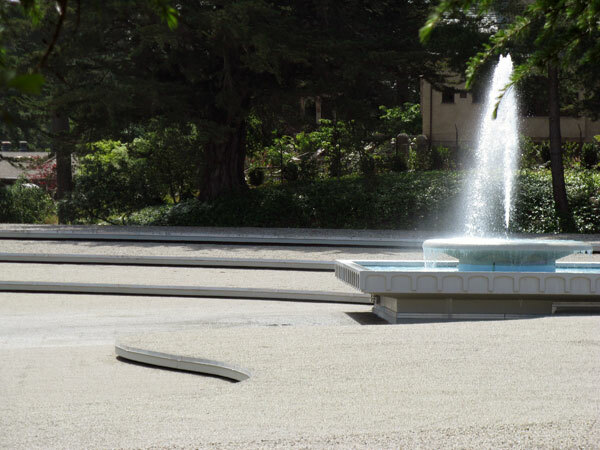 The undulating shape of the contours and the asymmetrical placement of the fountains create a large-scale sculpture reminiscent of the work of Spanish artist Joan Miró and Brazilian landscape architect Roberto Burle Marx. 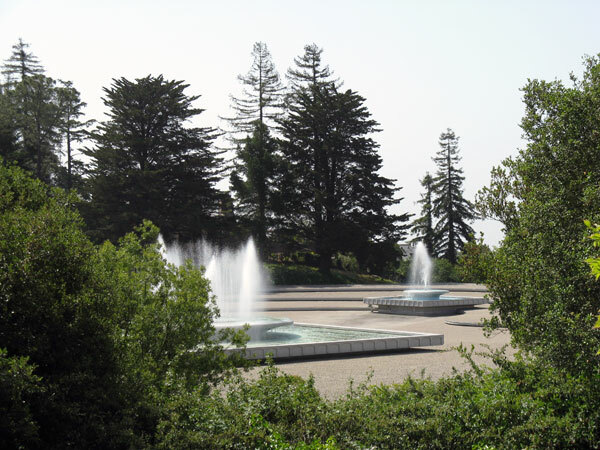 Water sprays upward from the fountains, adding a vertical dimension to the landscape. 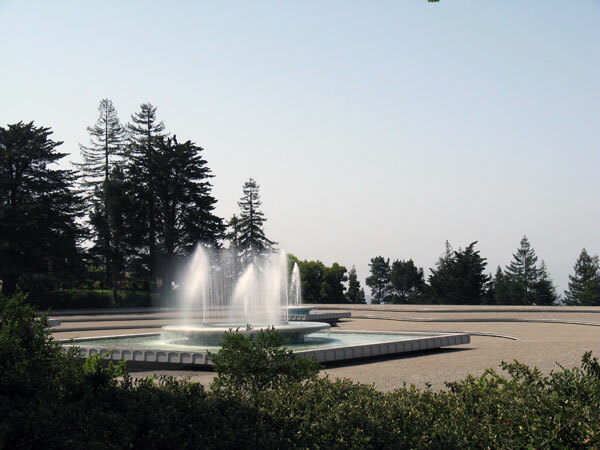 The site's perimeter is enhanced by buffer plantings of ornamental shrubs and evergreen trees.